good time 5 Good experience getting this watch, easy process. Beautiful 5 I just got this one for my birthday from my son and it is gorgeous! I'm wearing it everyday and I'm getting so many compliments on it! I just LOVE it! Love my watch 5 I love the strap the most about this item, reason why I bought it - it came as described and I couldn't be happier. WHAT A BARGAIN 4 Very fine, delectable and good quality. Has a classic look and well appointed. The strap 5 th strap is beautiful and is nice on my wrist. 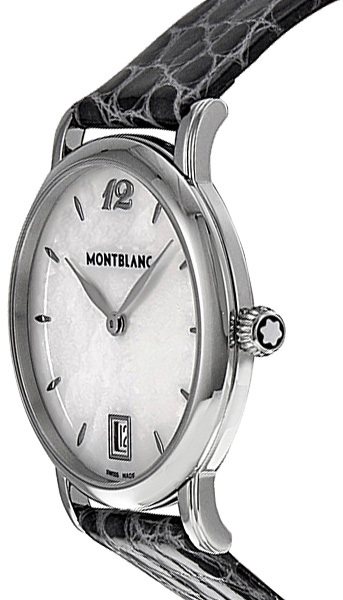 This MontBlanc Star Classique 108766 was the perfect gift 5 My sister was very happy with her Christmas present. She prefers things that have a subtle elegance and muter colors. 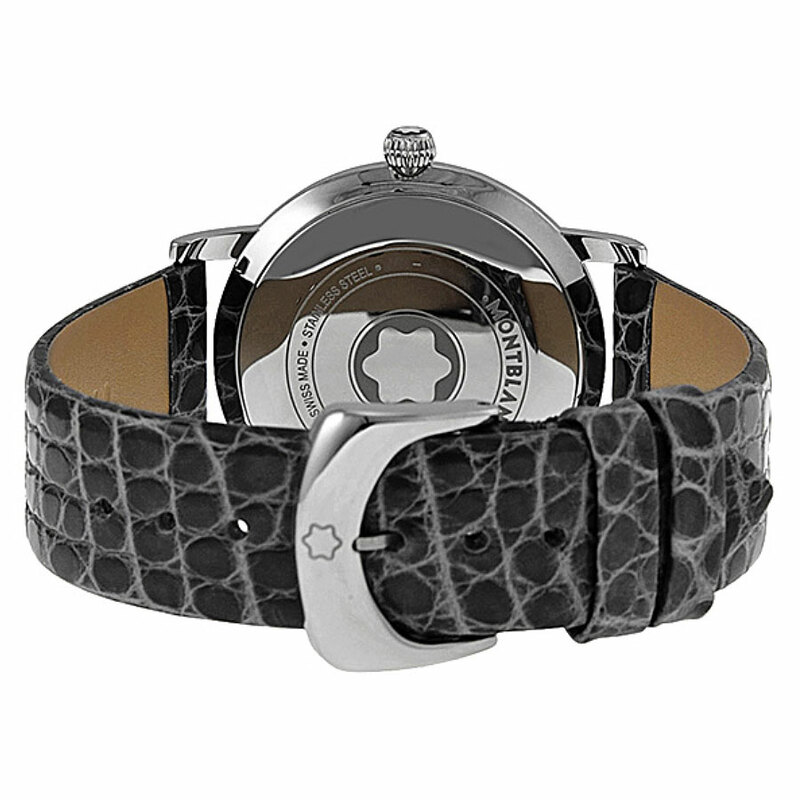 The mother of pearl face works very well with the gray crocodile strap. Very good value. A watch fit for any occasion 5 I was offered this same model at a store for almost $2000 and I'm glad I did some more looking. $1400 off for a brand new watch is pretty incredible! 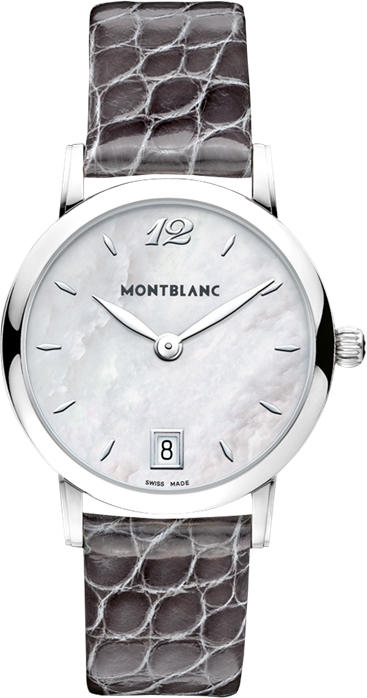 I think the mother of pearl dial and the grey coloring of the strap makes this watch work with almost any outfit which makes life a lot easier! 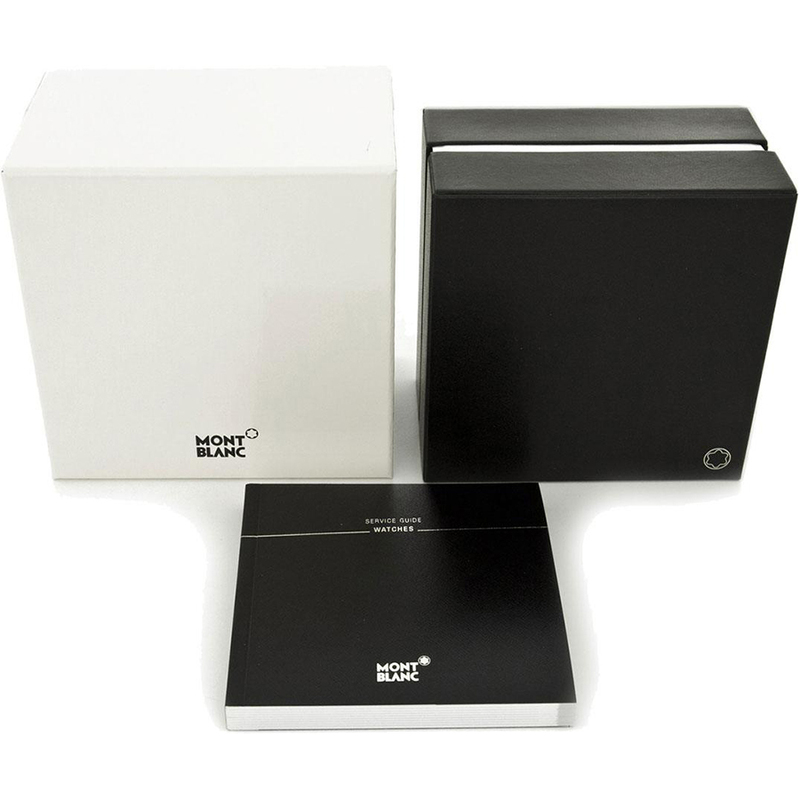 Pros:Brand new, amazing discount, and the watch is beautiful!